TODAS LAS SOLUCIONES EN UN PRODUCTO UNICO. 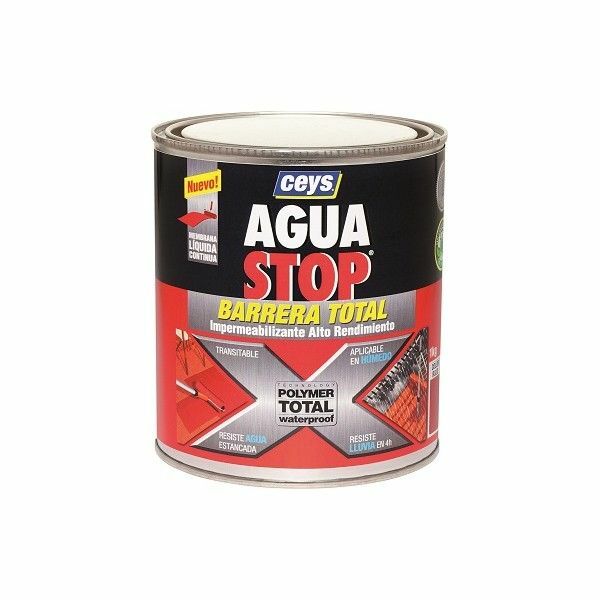 IDEAL PARA TERRAZAS TRANSITABLES, SUPERFICIES A EMBALDOSAR, INTERIOR DE JARDINERAS, REPARACION EN TEJADOS, ETC. RESISTENTE: APTO PARA CUALQUIER CONDICIÓN CLIMATICA, INCLUSO AGUA ESTANCADA. RESISTE LLUVIA TAN SOLO 4 HORAS DESPUES DE SU APLICACION. ALTA RESISTENCIA A LA RADIACION UV. APLICABLE EN HUMEDO: BUENA ADHERENCIA SOBRE SOPORTES HUMEDOS. CAPACIDAD DE RELLENO: IDEAL PARA LA REPARACION DE GRIETAS Y FISURAS, Y PARA LA IMPERMEABILIZACION DE ENCUENTROS. SIN MERMAS: TODO ES PRODUCTO FINAL, SIN DISOLVENTES QUE SE EVAPORAN TRAS SU APLICACION. FACIL Y RAPIDO: FACIL DE APLICAR A RODILLO, BROCHA O LLANA. NO DESCUELGA; ADHIERE PERFECTAMENTE SOBRE MULTIPLES SOPORTES Y SECA EN SOLO 7 HORAS.